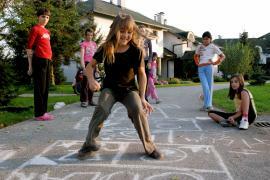 SOS Children's Villages has been present in Croatia since 1992. 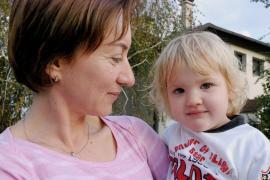 Currently SOS Children's Villages is supporting local children, young people and families in two locations in Croatia. In 2015 we started an emergency programme in response to the refugee crisis. Croatia is located on the north-eastern shore of the Adriatic Sea, bordered by Slovenia and Hungary to the north, Serbia to the east and Bosnia-Herzegovina to the south and east. The population is 4.5 million. Croatia's capital city, Zagreb, has approximately 700,000 inhabitants. The number of children under the age of 18 is estimated to be 999,000. Most of the population is Croat, Serbians account for the second largest group (12 per cent) and Bosniaks, Hungarians and Slovenes are also present. The major religions are Roman Catholic, Eastern Orthodox, and minorities professing the Muslim faith. Croatia declared independence from the former Socialist Federal Republic of Yugoslavia in 1991. The war between 1991 and 1995 caused immeasurable damage to the economic infrastructure and displaced a large proportion of the population. Much of this population remains unable to return to its place of origin. Since the end of the war, the Croatian economy has been making a slow recovery. Tourism, accounting for nearly a fifth of the gross domestic product, is the main source of employment and income. Over two thirds of the population works in the service industry, a third in industries such as steel, cement, chemicals, fertilizers, and textiles, and around seven per cent in agriculture. Unfortunately, corruption, cronyism and an inefficient public administration are affecting the rate of development. Unemployment rates remain high at around 16 per cent. Around 18 per cent of the population lives under the nationally established poverty line. Both of these factors affect families with children and an increasing number of children are being placed in institutions due to poverty. Local experts believe this number could be reduced if families were given adequate support within the community. There are two separate ministries responsible for protecting children. On occasion, children from vulnerable backgrounds do not receive the assistance they require because of the poor co-ordination between ministries and the lack of funding for social services. Despite efforts to deinstitutionalise childcare, two thirds of all children in care live in Croatia’s institutional homes. Children in these facilities grow up without the love and support which a family could provide. The situation for children with mental and physical disabilities, behavioural difficulties or psychological problems is particularly harrowing. The families are offered little support, the children are quickly removed from the family and placed in institutions. There are, however, no specialised centres with adequate accommodation and support for these children. In this light, their basic human rights are severely infringed. Children from the Roma community face discrimination in Croatia. Not only do these children have the highest school drop-out rate in the country but their families suffer the highest rates of mortality and unemployment. The work of SOS Children's Villages has responded to the changing needs of children and families in Croatia. The organisation works in Lekenik which is 24 kilometres from Zagreb and in Ladimirevci in the east of the country. In both locations it supports children by providing them with loving care in an SOS family, and young people by providing houses where they can learn to live semi-independently. Until 2011, we also ran a Kindergarten where children could be looked after while their parents worked or received training. The kindergarten is now run by the local authorities. In 2014, we started an Emergency Programme aimed at families and children affected by the damaging floods. Working with local partners, our mobile teams provided support and set up SOS Child Friendly Spaces. In response to the Refugee Crisis of 2015, the SOS Emergency Programme in Croatia is focusing on supporting children (especially unaccompanied children), young people, and mothers with children and pregnant women. SOS Children's Villages is working with other local organisations and is responding to the evolving situation.